Cockeyed Caravan: The Hero Project #23: Why Do They Fail? 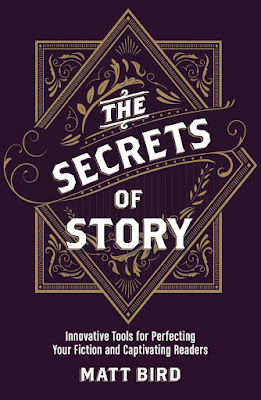 If you want to write a big, exciting story, then you need a big, exciting problem. Your hero isn’t just in a bad situation, he’s in a bad situation from hell. The villain has all the cards! Our beleaguered hero seems to be at his lowest point, but at the last possible moment: victory! Why? What changes? So many times in movies, the villain’s plan falls apart without a good reason. If your story has a villain who is clearly improvising, then we might forgive them if their plan has some holes. But if your story is about a villain who has spent weeks (or longer) laying a trap for your hero, then we are going to hold them to a higher standard. And if your villain describes their entire plan to the hero, then it should really be foolproof. There has to be a good reason for them to confess everything and we have to understand why they thought that this wouldn’t mess up their plan. In Collateral, hit man Tom Cruise gets driven around by cab driver Jamie Foxx. When one of Cruise’s victims falls out a window onto Foxx’s hood, Cruise has to try to win Foxx over to the dark side. I’ll cut this one some slack because Cruise is clearly improvising. Still, why did he think that Foxx would go along with it? And shouldn’t he have figured out that you don’t want to threaten a guy and then leave him sitting in his cab to think it over? Training Day is a far more ludicrous example. Bad cop Denzel Washington spends the first half of the movie trying to corrupt a rookie played by Ethan Hawke. Hawke doesn’t go for it. Then Washington reveals his real plan: he wants to frame Hawke for all of his crimes. Okay… why tell him that? It makes for a big dramatic “raise the stakes” scene, sure, but it hardly helps him with his plan. And why is he surprised that Hawke fights back? Wouldn’t anyone? Maybe if Hawke had had a history of corruption himself, and today was the one day he unexpectedly decided to be a good cop… but no. This is a classic example of a plot twist that gives the hero more conflict and more motivation in the short run, but ultimately makes both the villain and the hero look weak. Both movies lack that “this was the wrong person to pick on” moment. The hero just muddles through. It’s no accident that they both attracted a big-money star to play the villain and a smaller star to play the hero. The villain gets to run rings around the hero until the very end. Nevertheless, both of those movies were nominated for Oscars, so what do I know? 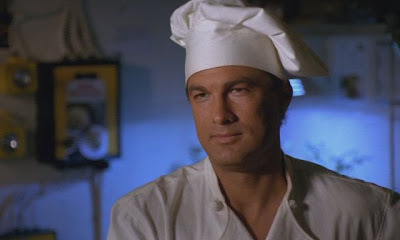 Here’s a movie that wasn’t nominated for an Oscar: the Steven Seagal vehicle Under Siege. Nevertheless this one makes a lot more sense. Tommy Lee Jones has planned his villainy down to the last detail, because he wants to highjack a battleship filled with Navy SEALs! That’s a big goal! Unlike Cruise and Washington, Jones has done his homework and thought of everything. He successfully disarms all the SEALs and locks them up. But there’s one thing he hasn’t counted on: the cook has a secret history. He used to be the toughest commando of them all before he got busted down to the kitchen. It’s understandable why Jones didn’t think of that. It’s his bad luck that he ended up a hero who happened to be the wrong person to pick on.